Dell EMC PowerEdge servers with Platinum processors deliver faster, more reliable performance for virtualization, converged IT, hybrid cloud and big data. 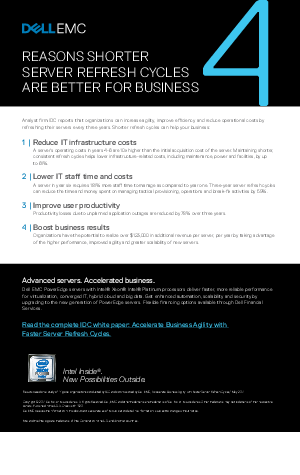 Get enhanced automation, scalability and security by upgrading to the new generation of PowerEdge servers. Flexible financing options available through Dell Financial Services.